Topic: Black Friday / Cyber Monday deals on mechanical keyboards? Re: Black Friday / Cyber Monday deals on mechanical keyboards? I haven't seen any other than in the BB ad unless I missed it somewhere. Amazon will probably run some too, but I'm not sure what a good price is since I'm not in the market for one. I'll keep my eyes open for ya. Well, today was a bust. No luck. So I'm done adding entries and will hold out hope for a gold shirt lol. I'm enjoying seeing everyone else's entries though, so keep 'em coming! Topic: BFAds Black Friday 2018 Scavenger Hunt (Entry Thread) - UPDATED 10/29! 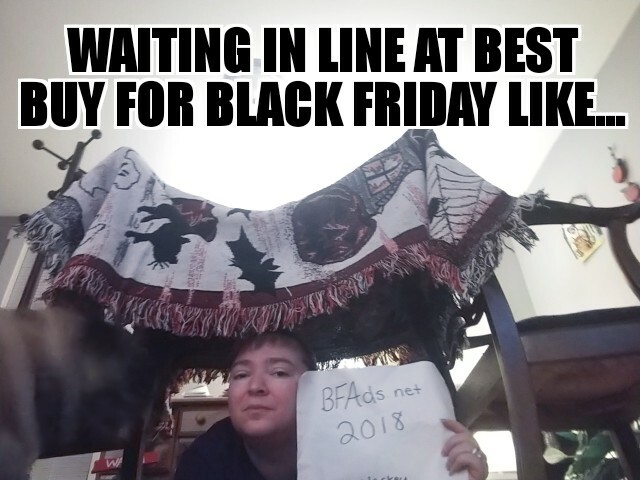 Re: BFAds Black Friday 2018 Scavenger Hunt (Entry Thread) - UPDATED 10/29!